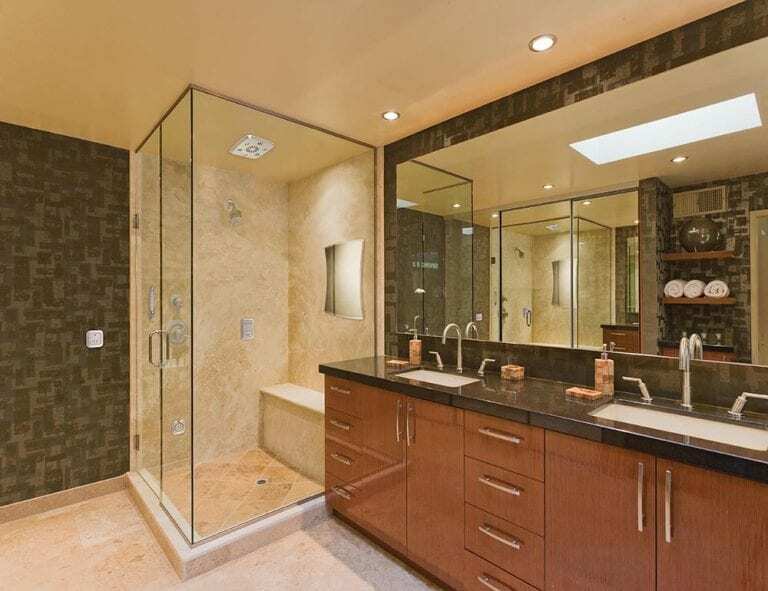 The bigger the shower stall, the more luxurious the experience. And when there’s a seat inside the enclosure for resting, that makes it an ever more relaxing experience. One complaint we hear from readers is the lack of a seat as this can come in handy for shaving or needing to sit down for another purpose during bathing. 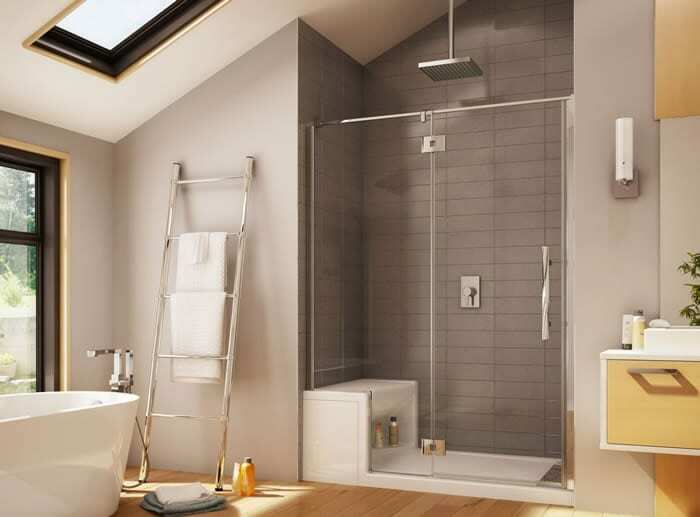 Whether its a medical necessity, for reasons of safety against fall protection or for luxury, we’re here to share a beautiful assortment of shower stalls with seat ideas that offer a great look to a bathroom! Let’s have a peek at these famously modern designs. Here’s an example of a traditionally styled cabin where space has been judiciously used to allow seating. Another use can be storing shampoo, conditioner and other supplies. 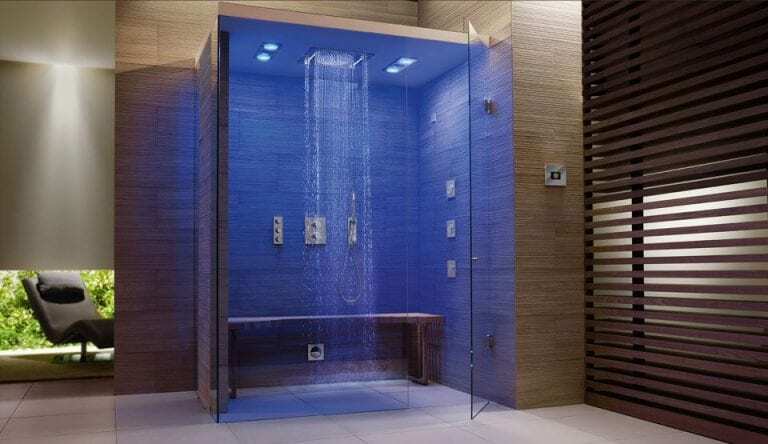 Are you drooling over this shower stall idea with a natural rain head and chromatherapy? Of course we have to point out the seated bench placed inside where you can rest, relax and enjoy the space without a time limit. This idea reminds me of going to a spa with will often have those amenities as well. An example with chicness and simplicity that make for such an inviting feel, this idea too has a bench seat right inside. The neutral setting of the bathroom is traditional in overall style but also made with a contemporary feel. Stylish with no fuss, this room is designed with both luxury and functionality in mind – and we love that! A huge seat isn’t always needed. Instead, just a simple little spot can be carved out for exactly what you need without taking away from the overall vision of the bathing space. This shower has a modern yet youthful vibe with its hazy grey foundation and turquoise tiles that pop! The fact that the floor is level shows that this is also engineered for aging in place in the event a person is in a wheelchair. You can also see the low hanging hardware for turning on and off the shower would be well in reach for someone with limited mobility. This marble-covered built in cabin makes a beautiful first impression. The classic, black and white color combination inside this space gives it an elegant, timeless look and the tufted ottoman and chandelier add a feminine quality. Looking inside this space you can spot the floating seat that will help with everything from rest, organization and even making it easier for the lady of the house to shave her legs! We’ve fallen in love with not only this entire idea and styled vision but also the bench inside the shower that includes outside storage! Inside you’ll get a place to take a seat and enjoy the warm water and on the outside you’ll have an easy and convenient space for holding your towels and extra shampoo and body wash bottles. This interior design is outside the box in style in so many ways. From a mixed material feel to the hipster vibes, we’re head-over-heels in love with this entire space. 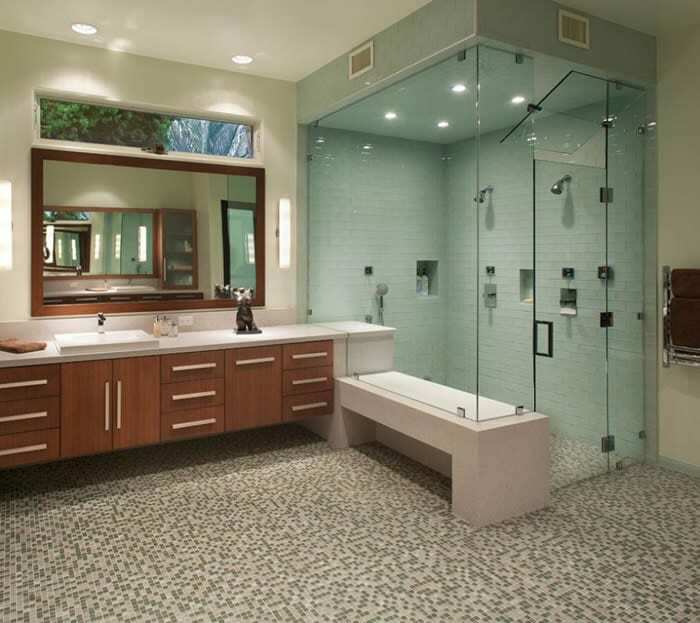 We love all the details and modern influences and we love the stone style bench that sits inside the shower even more. It’s such a surprised foal point to a room that doesn’t usually give the most design-worthy wows. Although this example is a bit smaller and more traditional in size, there’s still room enough for a seat and storage space! Hide your necessities underneath and use the bench when the need comes to call. This theme has a more masculine feel overall but that doesn’t mean a bit of luxury has to be ruled out. This seat is quite similar to the example shown above, especially in the size of this glass door cabin. 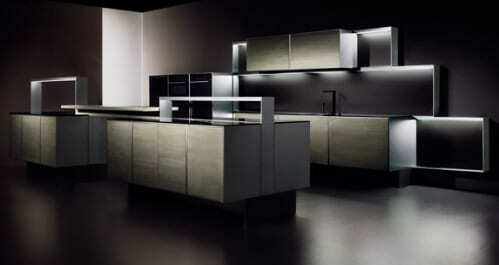 But the contemporary and clean feel of this is different. It’s got a more feminine touch and we love its accents like the mixed cabinets and silver ladder used for hanging towels. And finally, here’s an idea that’s big enough for his and her spaces and permanent seating that fits inside the enclosure. Although there isn’t storage space underneath you can use the the top to store any extra conditioners or toners you may want to have on a daily basis. We’re also quite fond of the brown and cream neutral mixing that’s happening throughout the space.